I was an excited yeshiva bochur as I approached Rav Moshe Shapira for the first time. The year was 1981 and he had just joined the faculty of Yeshivas Mishkan Hatorah on Rechov Sorotzkin, Yerushalayim. We also knew about his extraordinary ameilus b’Torah. Once on Shavuos morning after kiddush one of the chaburah offered him a room so that he could rest. Rav Moshe smiled and said, “Every moment of Zman Matan Toraseinu is precious” and he went straight back to the bais medrash. His dikduk b’mitzvos was legendary. Perhaps because of his years as part of the Brisker Rov’s entourage, every small nuance of every mitzva was performed to the maximum. He once let slip that he never had a bank account because of his ribis (interest) concerns. Another time he mentioned that he never drank Coca Cola because he saw an ad describing Coke as “taam hachayim – the taste of life”. So, as I approached Rav Moshe for the first time, I was excited to finally meet this extraordinary person. His face exuded a hadras panim that came living a life of true beauty – mining the depths of the pnimiyus of Torah and harmonizing it with the outside world. I asked him a question on the gemara we were learning. He asked me my name and then answered with the magnanimous patience and clarity of a loving Zaide. I left feeling like a million dollars. The conversation was over. I was traumatized. I ran to my senior friend, Reb Yerachmiel Fried (presently Rosh Kollel in Dallas) and asked him what had just happened. With a twinkle in his eye he explained, the first time you went to him you were a stranger. Now you became a talmid. For the next thirty seven years, with over twenty years as his “Friday driver,” I was careful to only ask questions that were thoroughly prepared. From his talmidim, Rav Moshe demanded excellence. He expected us to go deeper. And when we had reached our capacity of depth, we were expected to reanalyze everything and question every assumption and then go deeper still. And who was that aged man? That scion of Kelm, Rav Eliyahu Eliezer Dessler. On Purim night when the dancing was over we packed into a small shiur room and Rav Moshe expounded on Purim for over an hour. He concluded with a l’chayim and then chose a song which we sang again and again for maybe twenty minutes. After a while the words seemed to take on a life of their own. We would forever connect to those words in a way that simple recital could never achieve. Which was of course the educational point Rav Moshe was making. Years later he told me that once upon a time one could reach dveykus with a wordless niggun, but he felt that today we were no longer on a level to do so, we needed the “hook” of words. That Purim Rav Moshe asked me to cancel the Purim shpiel (play). He (correctly!) said that it would not be appropriate for kedushas Purim. We had worked hard on the production and he could see that I was hesitant to agree. He said, “For this alone I will guarantee you a place in Olam Haba!” That was (not surprisingly) a clincher. His sensitivity for kedusha was always astounding. Interestingly, our mashgiach, Rav Osher Zelig Rubinstein zt”l asked to see the script of the play. He held that the play was a healthy outlet that allows bochrim to send subliminal hints to the hanhala about what needs fixing in yeshiva. Reb Moshe took a personal interest in every talmid and built each one of us with the devotion of a diamond polisher. One of the chaburah was an artist who went to one of the gedolim and asked him what should he do with his passion for drawing while in yeshiva. The gadol told him to work on himself and find the “geshmak” of drawing in a blatt gemara. Rav Moshe told him to take off one seder and draw. (Interestingly, he went for a third opinion to Rav Wolbe zt”l who concurred with Rav Moshe.) The first painting he drew was a picture of Rav Moshe! That painting hangs in the living room of Family Zeffren in St. Louis. (When mentioning The Zeffrens, who can forget the incredibly emotional Skype conversation between Rav Moshe and Reb Gershon Zeffren z”l, our esteemed chaburah member who passed away five years ago, when a tearful Rav Moshe gave over yesodos of emunah to his beloved talmid). 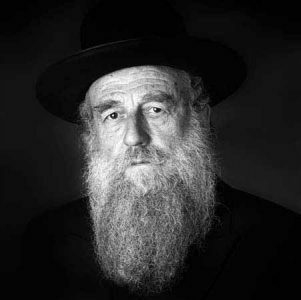 When I was offered a job as a teacher in Memphis, Rav Moshe urged me not to take the job saying “If you go now you will lose everything you gained in your years in Israel.” A few years later he told me “You are now ready.” He said I would succeed and would return to Israel “k’adam mevukash” – employment worthy. He begged me not to teach Daf Hayomi, worrying it would become a replacement for learning in depth. He made me write him “chaburas” in learning – to make sure I was kept on my toes. Rav Moshe’s high expectations from us was outweighed by his love and constant outpouring of chessed. My father z”l used to warn me not to be impressed by genius and charisma. Until you see genuine good middos in a venue where nobody is watching, these gifts from Hashem can be abused. As Rav Moshe Aaron Stern zt”l once quipped, quoting Rav Chayim of Volozhin, “Al tadin es chavercha ad shetagia limkomo” – Do not judge a person until you see him in the privacy of his home where there is nobody to impress. Rav Moshe was the extreme opposite. When in private and especially when dealing with people in pain, his compassion was legendary. I once told him about a bitter machlokes in our building between neighbors. He volunteered to come to Har Nof and see if he could make shalom. With elegant chochma, he worked out a solution that pleased everyone. When in my house, Sarah the cleaning lady offered him tea which he politely refused. As he left the building, after having walked down two floors he turned to me and said “Menachem, I forgot something.” I thought he had forgotten something like an umbrella and he clearly did not want me following him. He ran back to my apartment and went from room to room until he found the cleaning lady and wished her goodbye. In that moment I saw true greatness. As a mechanech I have seen Rav Moshe come to tears many times when relating to him the stories of suffering and abuse that students have endured or the incredible sacrifices of NCSY teenagers. Reb Dovid Orlofsky describes how a rov from South America came to Rav Moshe with a question about an “adrogynus” (a person with two genders). It is a fascinating case in halacha and many a posek would relish having to deal with its intricacies in real life. But Rav Moshe’s first reaction was to burst out crying. Here was a Jew with a life of suffering. First he cried. Then he paskened. A friend of mine and his wife (who prefers anonymity) were childless for seven years. Rav Moshe insisted on coming to the house to give the couple a bracha. “In this house the sound of simcha will reverberate,” said the rov. Indeed within a year they had a girl, the first of many children. But by then they had moved back to America and Rav Moshe’s statement “in this house” remained a puzzle. Twenty years later their daughter had become a kallah. The boy was from an Israeli family and they traveled back to Israel for the simcha. My friend looked high and low for an apartment to rent for that month. Nothing turned up. Until “by chance” they rented that selfsame apartment they had rented twenty years earlier! The perfect place for the “l’chayim.” Rav Moshe’s bracha had come full circle. It was Shvi’i Shel Pesach in Rav Moshe’s home. Rav Yehoshua Hartman (presently of London) and I had recently returned from an educational trip to Eastern Europe. After Rav Moshe had completed one of his classic scintillating Yom Tov shiurim he asked us, so what thoughts did you have during your travels? I made the following personal observation. I said that it was strange how connected I felt to the Rema in his shul in Krakow. And how connected I felt to the Maharal in his shul in Prague. But when I go to the Kosel, with its plethora of Jewish history, I don’t feel the same connection. When you look directly into the sun, you see nothing. I have shared with you a tiny sliver of Rav Moshe mainly through the one-dimensional lens of my memories from Mishkan Hatorah. I know nothing of his talmidim from his thirty to forty shiurim a week, or from his constant travels to Europe, Russia, the U.S.A and South America. I know nothing of his vast knowledge and his ability to penetrate depths in all spheres of Torah that was unparalleled in our generation. Or his ability to take the most complex political changes, wars, atrocities and tsunamis and pass them through the lens of Daas Torah in a way that gave us clarity and empowered our emunah. I know nothing of his attraction to the leading linguists of Hebrew University who would come to him for advice in understanding the Hebrew language; or why Benny Lévy, political activist and leading philosopher in France, would switch his allegiance from Jean-Paul Sartre to Rav Moshe; or why Gideon Saar, rising star of the Likud, would want to learn with him b’chavrusah. I know nothing of why a man who was offered to be Rosh Yeshiva of Chevron and other of the world’s leading yeshivas, would turn them down to work with talmidim who did not fit into the system. Or his extreme affinity, patience and love for special needs children. I know nothing of the kiruv revolution that he led and the countless lives that he impacted through the force of the purity of his Torah and boundless Ahavas Yisrael. But I do know that for thirty-seven years I looked into the sun. And that the sun looked at me. My family, my students and I have been spiritually enriched beyond anything we can comprehend. May his rays continue to shine from Shomayim as a malitz yosher for us all. And may the orphaned generation he left behind merit the geula bimhayra b’yameinu. Rabbi Nissel has taught for over twenty years in various Yeshivas and seminaries such as Ohr Somayach, Ohr Yerushalayim, Torat Shraga, Michlalah and Bnot Torah/Sharfman’s Seminary. His articles and letters are widely published and he is the author of the highly acclaimed Rigshei Lev – Women in Tefillah (Targum / Feldheim 2001) and Jerusalem Jems (Targum 2002). He is also a senior lecturer for the men’s and women’s programs at Ner LeElef. 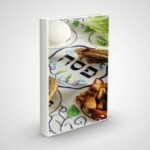 He is the Rabbinic Resource for the National Council of Synagogue Youth (NCSY), the youth branch of the Orthodox Union. Rabbi Nissel is a musmach of the Itri and Mishkan Hatorah Yeshivas and is a talmid of Rav Shlomo Volbe zt”l and Rav Moshe Shapiro zt”l.